What makes Ionic Framework Great For PWA Development? The ionic framework was created by Drifty Co. in 2013 and by 2015 Ionic developers had reportedly created over 1.3 million applications with the SDK. Two years of time and Ionic frameworks rooted itself among the developers of the entire world as a breakthrough technology and it never went back. But what is the ionic framework and what was it that made it such a such a big hit in the PWA development industry such a short span of time? As the definition goes – Ionic is an absolute open-source (100% free) SDK for hybrid mobile app development. Ionic app development suite provides tools and services for the development of hybrid mobile applications using technologies such as CSS, HTML5, and Sass. Any kind of mobile applications can be built with these web technologies and later distributed through all the native app stores. The best apps made through Ionic framework are progressive web apps which are, as their name suggests, truly progressive. We know about Native apps which look and feel like Apps – they load offline, send push notifications, so on and so forth. We also know about Mobile web apps, which are basically restricted by the properties of the browser and they do not do things like running offline and sending push notifications but they are smaller in size and do everything else a native app does, but only being online. Progressive web apps, the concept coined as future of mobile apps, bridge this gap created between Native mobile apps and mobile web apps. On the whole, a PWA provides a collection of technologies, design concepts, and web APIs which work in tandem to give the user an App-like experience on the mobile web. Progressive web apps are proving themselves to be the future of mobile apps, standing right beside Native apps. In fact, in many ways, PWAs are points ahead in the PWA vs Native Apps comparison. Now that we have looked into the concept of PWAs, let us get in-depth of what makes Ionic framework the best choice for a team of PWA builders, starting with the detail of what Ionic framework is. Heads up: The answer to this goes beyond the fact that Ionic app development use the technology of service workers. They power the offline functionality, push notifications, background content updating, content caching and lot more. To explain it more technically, a service worker is a worker script that works in the background, independent of your ionic web app or Progressive web app and runs in response to the event like network requests, push notifications, connectivity changes and much more. What makes the Ionic framework awesome is that until the introduction of the framework, mobile app developers had to use Native coding to build Android, iOS or Windows apps. And each of these platforms required an independent, dedicated development. With the coming of Ionic, developers could build almost native-like mobile applications which worked on all technology stacks and different platforms alike, these were called the Hybrid apps. What’s more is, in a survey taken from Ionic in 2017, it was revealed that the hybrid approach to developing mobile apps had gained ground over Native coding of apps. What’s unbelievable was that, according to the report, in a span of two years, the percentage of developers building exclusively with Native development tools dropped to 2.9 percent from 20 percent. Let us try to unravel the reason behind this popularity of the framework in making Ionic app development mainstream. We have already established the fact that Ionic is an open-source SDK for Hybrid mobile app development, but what makes it so popular among the mobile app developers is the plethora of features it carries along with it. Ionic app developers work with over 120 native device features such as HealthKit, Fingerprint Authorisation, Bluetooth, along with Cordova plugIns and typescript extensions, it allows mobile app developers the utmost ease of developing advanced applications. First and foremost, it provides all the functionalities that found in native mobile development SDKs. That simply means that the developers can create their own apps and easily customize them for any OS – Android, iOS or Windows, or deploy them through Cordova. It provides the ionic app developers elements and ways for interaction using Angular. The collection repeat feature is Ionic Framework’s smoothest solution for scrolling huge lists without any performance hits. It creates a scrollable container with which the app developers can interact by using a native-like delegate system. It is based on SASS and thus it provides a load of UI components for creating really advanced, robust applications. 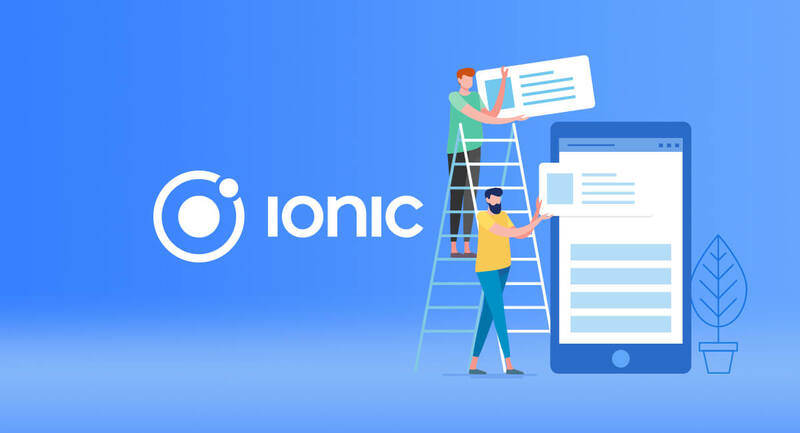 Now that we have looked into the features of the Ionic framework, let us get back to what we gathered here for – To know what makes Ionic the best choice for PWA development. Progressive web apps with Ionic – Why? The best western river north hotel reported a 300% increase in revenue with their new PWA. Tinder Cut load times from 11.91 seconds to 4.69 seconds. Also, The new PWA is 90% smaller in size than Tinder’s native Android android app. Facebook, after expanding to PWAs witnessed a steep rise in its engagement rates and download count. Uber’s PWA was designed to be faster even on a 2G network. The main app is only 50K gzipped and takes less than 3 seconds to load on 2G. Pinterest’s new PWA saw them an increase of 60% core engagements along with a 44% increase in user-generated ad revenue and an increase of 40% in the average time spent on their site. BookMyShow’s PWA takes less than 3 Seconds to load and increased conversion rates over 80 %. On top of that, their PWA is 54 times smaller than their Android native app and 180 times smaller than their iOS native app. 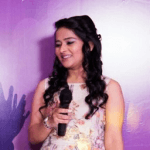 Yes, you have seen some big names mentioned in the above-written pointers. All then switched to PWA with ionic frameworks. There are also names like, Starbucks, Lyft, Twitter and Forbes who have seen a significant increase in the user engagements with their progressive web apps. Why should one use the Ionic framework? Finally, for Ionic platform’s powerful CLI (Command line interface). The ionic framework comes with CLI which makes it possible to create, code, test and deploy Ionic apps to the platform of your choosing. The CLI gives the ionic mobile app builders, the functionalities that are found in native SDK, which includes a built-in development server and debugging tools. What are the alternatives to Ionic application development service for PWA Development? Xamarin: It is a Microsoft-supported framework for cross-platform mobile app development that uses C# and native libraries that are wrapped in the .NET layer. Also read: React Native vs Ionic: Which is The Best Framework? Summing up, progressive web apps have rooted themselves among big brands and are running smoothly through ionic framework building. So much so that along with their native apps, they’re facilitating their users with an Ionic web app which can smoothly run on slower networks. Although, many others continue to successfully use it for developing “native-like” apps and deploying them on app stores without any glitch. This is a testament enough that people are liking what they’re getting and there is no stopping them. “How PWAs Drive Business for SMEs?,�? “Native vs Progressive Web Apps (PWAs): Who is Winning?,�? “PWA: Is This What The Future of Mobile Apps Look Like?,�?